is proud to provide homeowners with services to increase curb appeal as well as value to their home. Your lawn is our priority. 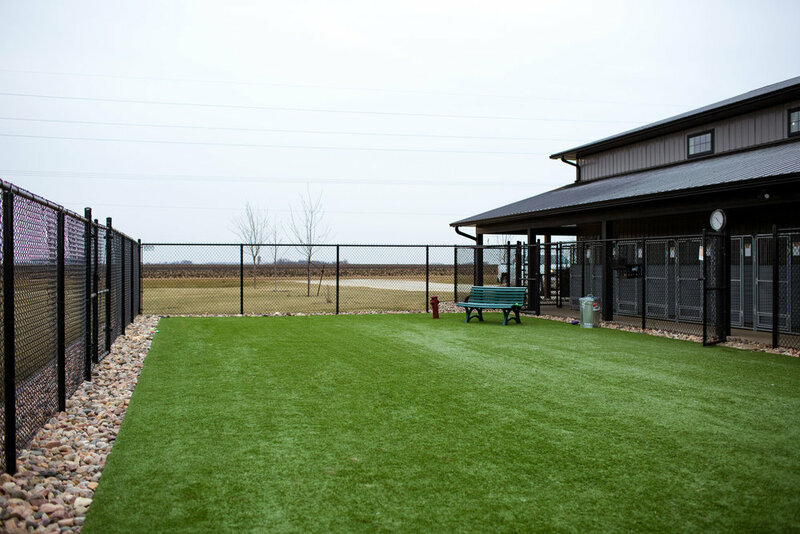 We offer free estimates on your projects including sprinkler systems, lawn seeding, sod or installing landscaping rock and edging. We also serve our customers in the winter by removing snow from driveways and sidewalks. 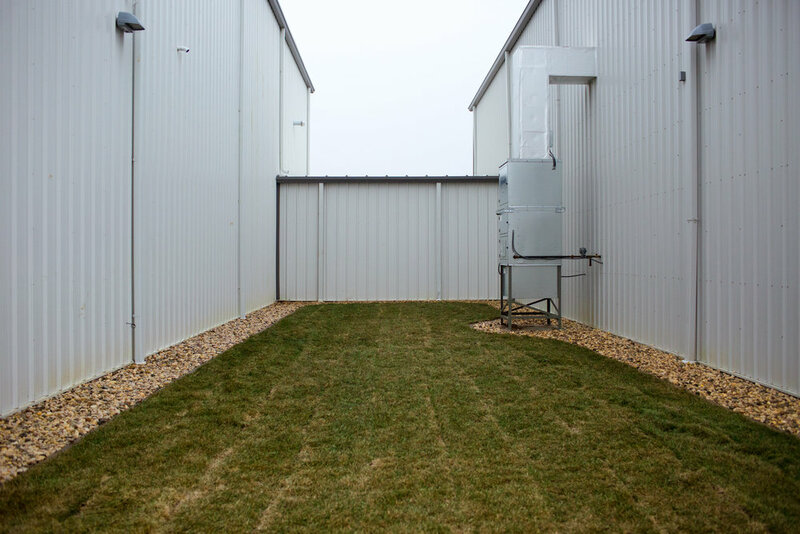 We serve both commercial and residential properties. Email us with details about your project and we will contact you for an estimate. Dave Van Holland grew up on a farm outside of Rock Valley, Iowa. He and his brother’s childhood were that of most farm kids in the 60’s and 70’s in rural communities; wake up early, help Dad with chores, clean up and go to school only to come back home and do most of the work all over again. Around the farm being lazy was never an option, and whenever there was free time it was rarely spent inside watching a screen. During the summer months entertainment consisted of playing outside in the dirt, hopping fences, and tinkering with machines in the shop. The winter months brought sledding, snow fort building out in the yard, and finding new ways to bury your siblings in the snow. If Van Holland Lawn service can be said to have an origin story, it would be safe to say it lies with that young boy and his brothers romping around on the farm. 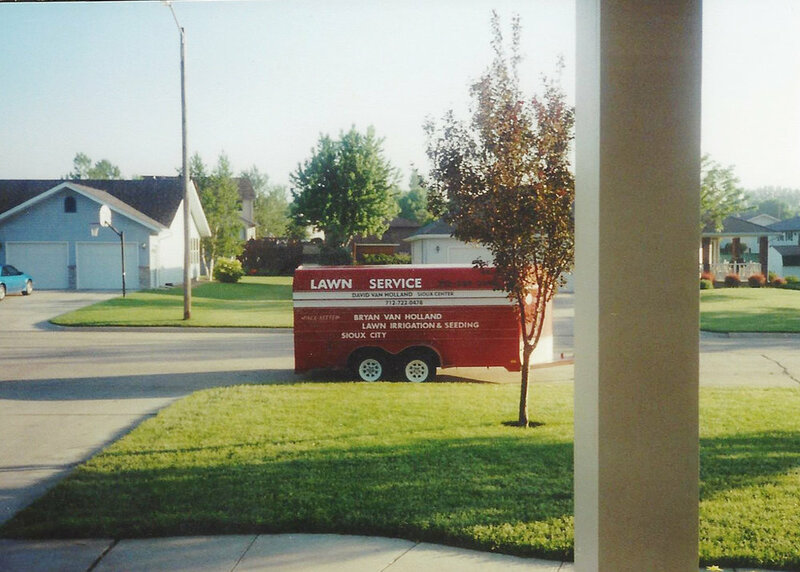 An honest work ethic, a strong affinity for family values, and an understanding of how to work with the changes in the Midwest seasons are all at the core of what has shaped Van Holland Lawn Service. After all those changing seasons that little boy eventually grew up and graduated high school from Western Christian, met his wife Leanne, had children, and started a career as a welder in Sioux Center, Iowa. 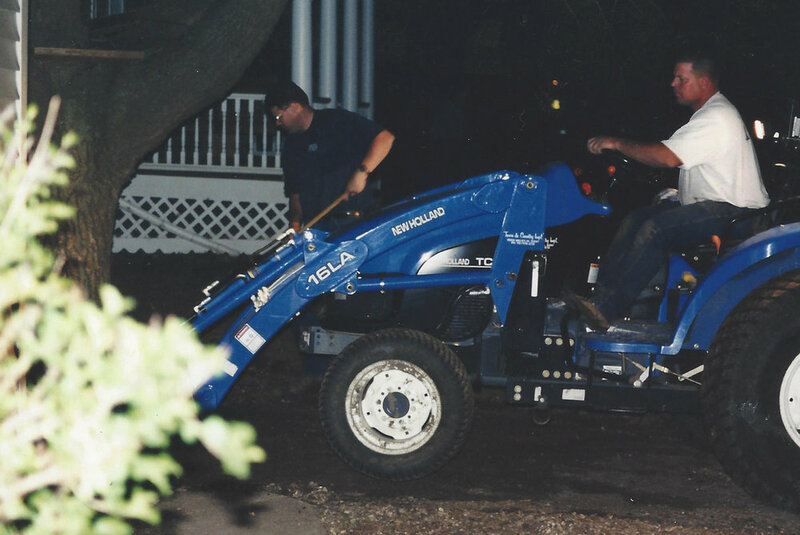 In the late 1990’s Dave began to help his brother Bryan Van Holland install irrigation systems and seeding residential and commercial lawns on nights and weekends while still maintaining his full-time welding career. The leap of faith took place in 1999 when Dave quit welding and he and his wife, Leanne, decided to become small business owners by opening Van Holland Lawn Service from their garage. Cinder blocks and two by four boards along the walls were makeshift shelving units, and his two sons could often be found after school helping Dad. Twenty years and counting since Dave and Leanne opened the doors to Van Holland Lawn Service, but his two sons now fully grown can still be seen helping their dad in the shop. These past twenty years would not be possible without giving thanks first and foremost to the good Lord for the work and the ability to do it. It also would not be possible without the dedicated service of employees and the loyalty of great customers. 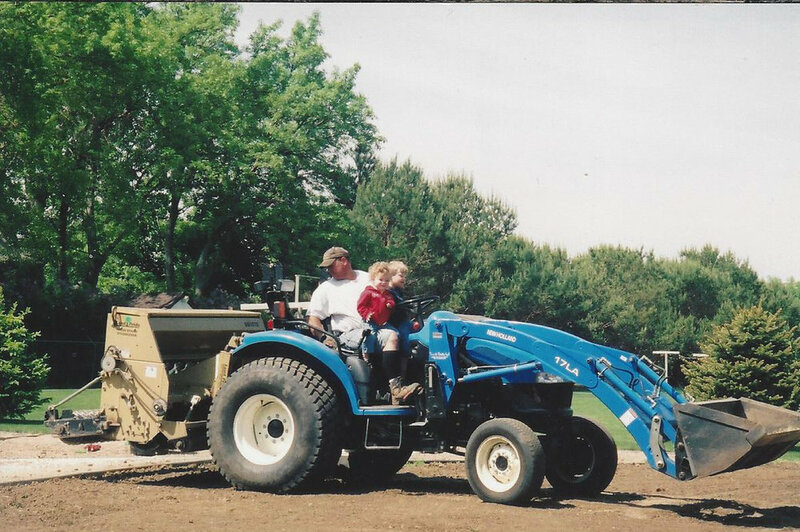 Though the services have expanded and the shop is no longer in Dave’s garage, the values that were learned all those years ago by the little boy on the farm are still true today. 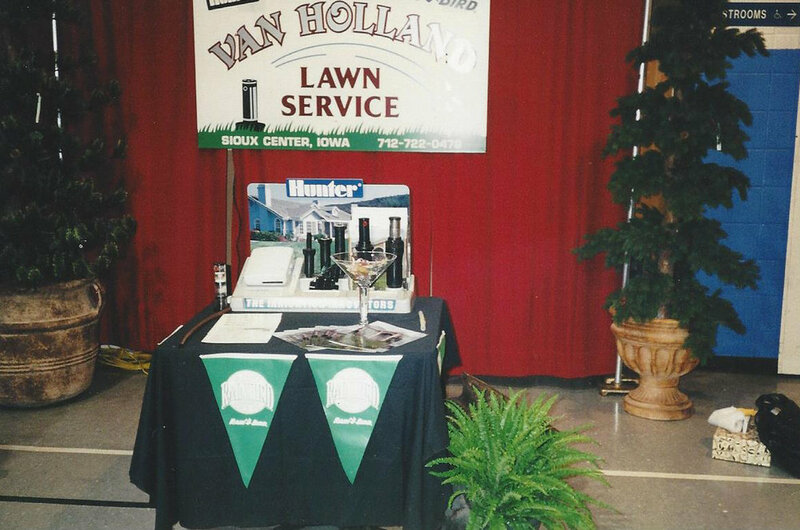 Van Holland Lawn Service is a family business ran by Dave and his sons, come be a part of our family today!